My book is essentially an autobiography of the 41 years of my life. I was raised in an extremely dysfunctional, abusive home. My mother is a narcissist who emotionally and physically abused me, and my grandfather, with whom we lived, sexually abused me. My father abandoned the family before I was born. As a result of all this, I spent many years struggling with depression, anxiety, and several addictions, including the addiction to cutting, a form of self-mutilation. 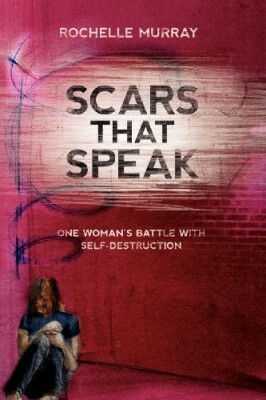 My book, entitled Scars That Speak: One Woman’s Battle With Self-Destruction(written using the pen name Rochelle Murray), is essentially a record of the last eight years of therapy.